The final issue of the run and one of my favorite Phantom covers. 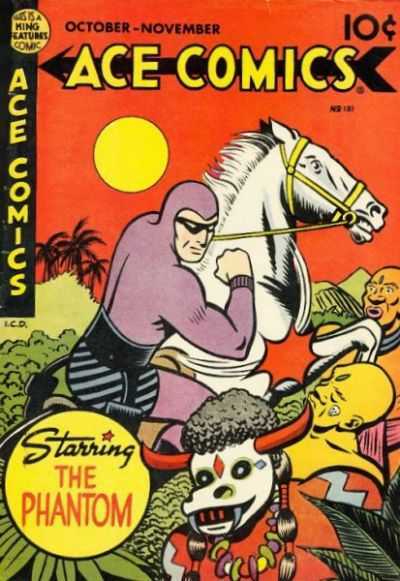 Though first appearing in comics in Ace Comics #11, it was not until issue 143 that The Phantom started appearing on the cover. Zero copies on the CGC Census, which is not too surprising. Tough tough book to find as are all the issues from 143 up. 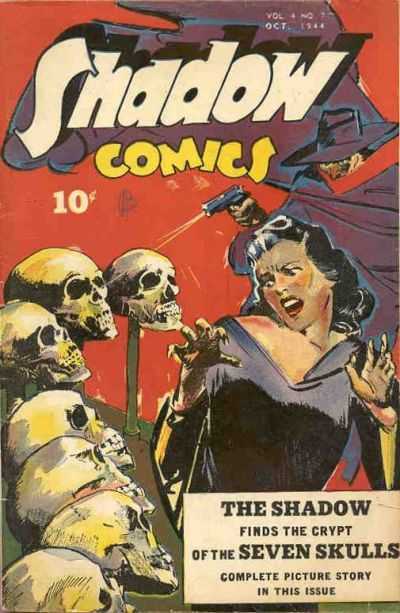 With a title like Shadow Comics it is tough to spotlight just a cover since the entire run is rich with amazing covers. This cover by Al Bare has to be one of the top contenders and like most of this run is not easy to find. 13 copies on the census, all are Universal. Average grade comes in at 7.30 with a single 9.4 (Church copy) at the top and a respectable 3.0 at the bottom of chart. Loving the red covers Ben. Great spotlight. Colors on that Ace are sweet! No skull love from the Shadow is nice as well.